Best Canadian heli skiing – in 36 seconds! At Great Canadian you’ll get a mix some of best BC and in fact Canadian heli skiing. In small groups and with unlimited vertical, with a simply amazing lodge accommodation. Just got to love it! 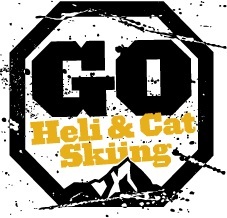 If you did not book next season yet it’s about time to get organized and secure your heli-skiing or cat-skiing seat. Just click to book. Location: Great Canadian Heli-skiing Heather Mountain Lodge is one of the most accessible heli-skiing lodges in Canada. From Calgary it is a 4 hour drive west on the Trans Canada Highway (also called Powder highway), passing through beautiful Banff, Lake Louise and Golden with plenty of opportunities for pre and post-resort skiing. Mountain Ranges: the Selkirk and Purcell mountains. Run Length: Most of our runs average in length of 500 vertical meters, and our longest run is 1,900 vertical meters! Average Daily Vertical: More than 7000 meters. Grouping: Small groups, with only 4 guests per group and per guide. Smallest group format in the industry. Have you ever done a heli toe-in? Have you ever done a heli toe-in? 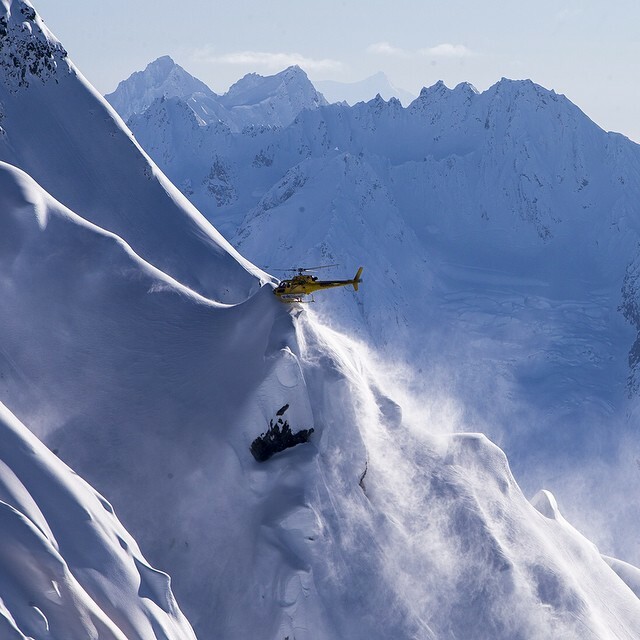 …reaching a heliski ridge that is too really small for the helicopter to land. 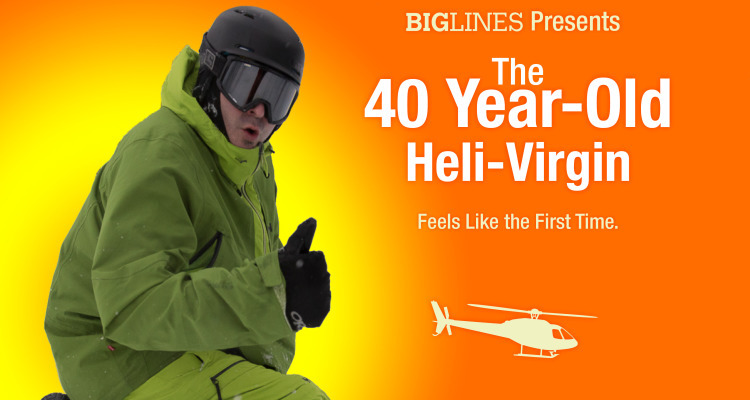 Contact us and we’ll book you the perfect heliski trip where you’ll have a chance to experience a heli toe-in. Here’s a classic toe-in from our partner SEABA in Haines, Alaska! Location: SEABA Heli-Skiing is located in Haines in the South East Alaska and is surrounded by mountains and water. There are several options to go to reach Haines. Either fly to Juneau, Alaska, and take an Alaska Seaplanes flight from Juneau to Haines, or fly to Whitehorse, Yukon, Canada, and rent a vehicle for a drive (4 hours) to Haines. Ski Area: 3000 square kilometers. Run Length: Up to 1800 vertical meters. Ski Terrain: Varied terrain for all abilities, long sweeping intermediate runs that will satisfy the desires of the powder connoisseur, challenging summit descents for experts and some of the most extreme terrain in the world. The tree line in Haines, up to 1200 meters, is higher than any other Alaskan heli-skiing destination, so while others are sitting on their thumbs in the lodge wondering when the weather will clear, you’re ripping epic tree lines all day long. Number of Runs per Day: Depending on conditions we run up to 12 in a given day. With SEABA’s “hobbs” program you know exactly what you are paying for. Grouping: Heli-skiing in small groups of 4, with 1 guide per group. Maximum 6 groups to a heli. Check out the tour highlights of some incredible skiing from the Freeride World Tour lastest leg in Haines, AK. If you want to ride AK, just click here to make a booking. So how do you judge a freeride contest? After all it can’t be easy – can it? It’s not easy, for sure, but over the years the judging system has been honed to the point where most freeride athletes are entirely comfortable with the format. A Judges’ Manual has been written by the event organizers and the Pro Freerider’s Board, and it’s all about overall impression. As the FWT Judges’ Manual states: “A judge has to ask himself at all times how fast, how big and how much in control a rider is compared to how steep, how exposed and in what snow conditions the action is happening.” In other words, the key to good judging is keeping the big picture in mind from the time the rider leaves the start gate to the time s/he crosses the finish line. 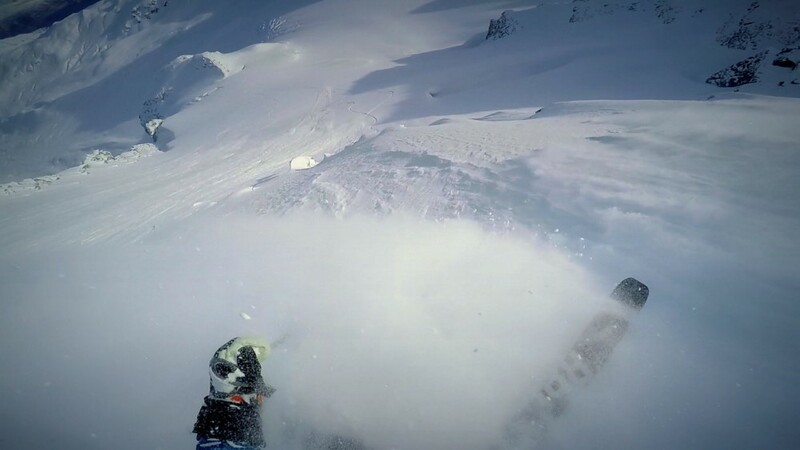 Haines, AK seduces Swedish Freeride World Tour rookie rider. Read more on how Haines, AK seduced Lotten rapp the Swedish rookie rider on the FWT circuit. 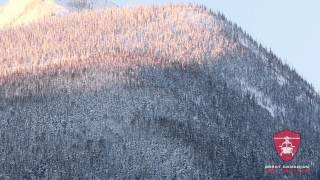 Want to learn more about heli-skiing in Haines, Alaska and book with one of the best – SEABA – see here. And these guys know what they’re talking about! Take a closer look at Northern Escape before you contact us to book! Location: Northern Escape Heli-Skiing lodge is located 25 minutes by car outside Terrace, BC, a 2 hour regional flight from Vancouver. Ski Area: Over 7000 square km. A huge a vast terrain! Endless opportunities for first descents every day in our spectacular heliskiing and heliboarding terrain. Runs often begin high in the alpine, featuring huge open glaciers, and end with long descents through old growth forests to the valley floor. Grouping: Small groups, up to 6 people. Vertical Skied: Average groups do 8-15 Runs per day. Run Length: Up to more than 2,000 vertical meters! Average Snowfall: 30-40 meters. Snow base is often 10 meters. It is epic and deep – it is the stuff of dreams! 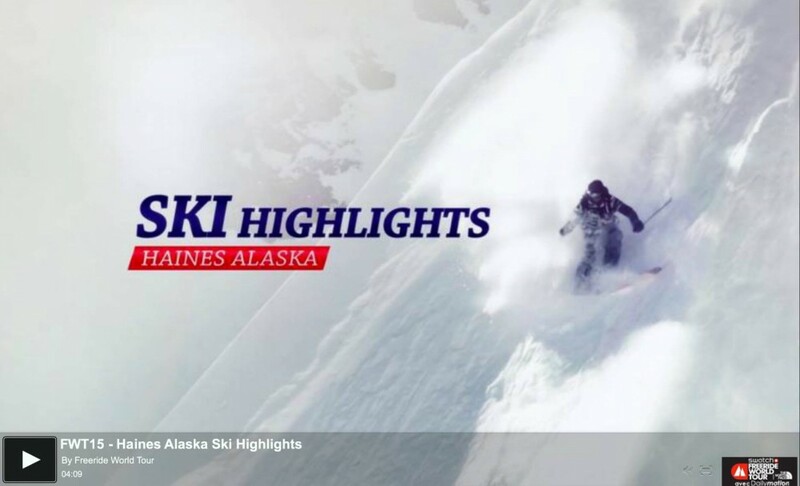 If you’re serious about skiing the best.. then Haines in Alaska is surely on your list. And that’s why the Freeride World Tour is there this week for the 4th stop of the tour this season. If you want to follow the track of the most awesome free riders – our operator SEABA is located in Haines. 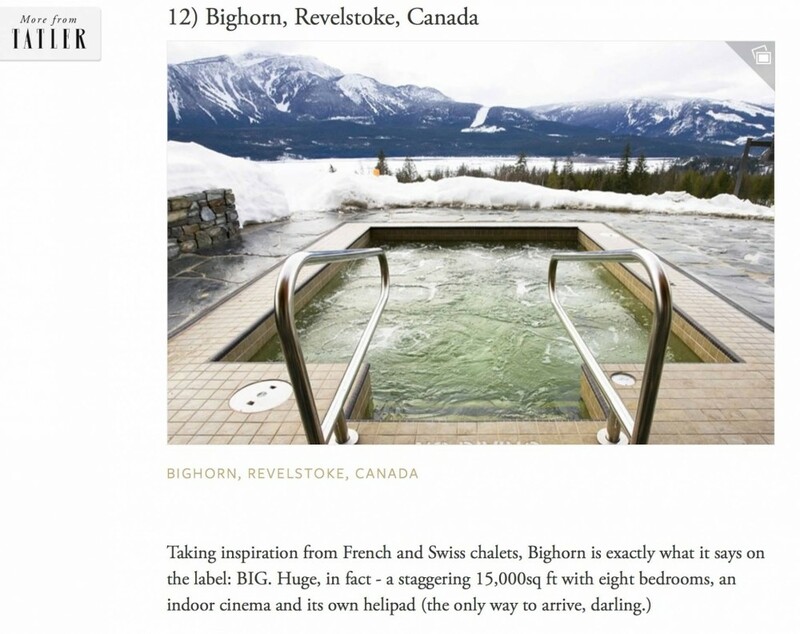 Bighorn Revelstoke listed as one of the “most drool-worthy chalets EVER” by Tatler. In fact the only North American property to make the cut, we are proud to offer mega-luxury accommodation alongside world class heli-skiing. TATLER’S full list here. 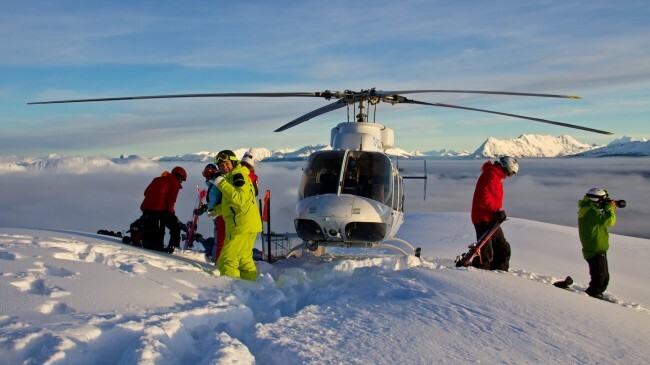 This is serious heliski luxury, simply bring 15 friends and make Bighorn Revelstoke your heli-ski base in BC next season. A mountain retreat like no other; Bighorn Revelstoke is both a heliski lodge and a 5 star ski chalet. It’s taken the best elements from each concept and created a new definition of luxury. Bighorn offers a truly exceptional experience with private heliskiing from the house helipad and access to unbeatable ski terrain at Revelstoke Mountain Resort. Bighorn is the finest private accommodation in North America, serviced by an award winning European chef and dedicated team of staff. Get a feel for life at Bighorn from the itinerary below. Remember, every stay is unique, with flexibility being the key to the Bighorn ideal. Looking for the inside story of what it is really about – trying heli-skiing for the first time, and in the heart of the BC where it all started? Who would not get inspired about this article featuring our lodge Eagle Pass Heli Ski to plan a trip next season!! Location: Eagle Pass Heli Ski Echo Bay Lodge is a private gated estate on 10 acres overlooking the Columbia River Valley, just 12 km south of Revelstoke, British Colombia. Closest airport is Kelowna, British Columbia, a short 2.5 hours away. Ski Area: 1570 square kilometers of skiable terrain. Grouping: Small Group Heli-skiing, using a B2 A-Star helicopter, in 3 groups of 4 skiers. Vertical Skied: Unlimited Vertical. You can’t ask for more! Runs: More than 240 Named Runs. Potential runs yet to be named: More than 2000. Longest Run: 1800 meters, Longer than Whistler top to bottom! Highest Peak in the tenure: Hallam Peak 3,205 meters. Awesome lines & Just pure riding! You don’t have to ride like this, but if you CAN if you want! Our Heli skiing and Cat skiing lodges in BC & Alaska have both the big lines and the deep snow. Check out our lodges here. Adria Millan: Just Pure Riding – the video recap some of best footage of Adrià Millan filming for Bumpy Films during season 2013-2014. Spanish skier Adria Millan Pila has been spending a couple solid summers putting in time, bootpacks, and laps at the infamous Las Leñas ski area in Argentina, where snow and wind can shut down the mountain down for days on end, but which can deliver dreamlike conditions when the green light goes. Judging by Adria’s edit, when it’s good… it’s REALLY good.